Title: What is Radio Astronomy? Description: Sue Ann Heatherly from the National Radio Astronomy Observatory in Green Bank, West Virginia interviews astronomer Dr. Jay Lockman to answer some of the most common questions about radio astronomy. 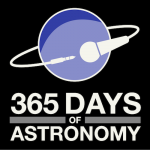 SUE ANN HEATHERLY: Welcome to 365 Days of Astronomy. My name is Sue Ann Heatherly. I’m with the National Radio Astronomy Observatory in Green Bank, West Virginia. With me today is Dr. Jay Lockman, who is an astronomer with us here in Green Bank. We’re going to talk about some of the common questions people ask when they come to visit us. So, Jay, what is radio astronomy, anyway? DR. JAY LOCKMAN: Well, first of all, radio astronomy is astronomy. It’s about our attempt to understand the things that we see out in the universe. Everything from the sun to the moon, the planets, the stars, galaxies–even Earth itself. So, it’s astronomy fundamentally. What makes it different from the traditional forms of astronomy, which go way back to the earliest people that looked up and saw the heavens with their own eyes, is that we’re not looking at light. Light is a very specific kind of energy given off by objects that are hot. And there are a lot of things out in the universe that don’t give off light, but they naturally give off radio signals. And so, by using antennas, we can peer out into the universe and receive radio signals from things that may be completely invisible to the eye, or even to the most powerful telescope, just because they don’t give off light. SUE ANN HEATHERLY: One of the most common questions people ask us when they come to visit is, “What are you guys listening to anyway? DR. JAY LOCKMAN: Well, there are a lot of things out there that give off radio waves that we can pick up with our big antennas. We don’t really listen to them, we record the signals and then analyze them later in computers and using various forms of visualization. The whole problem that we have with radio astronomy is, how do you turn something that is invisible–namely, the radio waves–into something that can be detected with our senses: our eyes, or even our ears. We could put our radio signals through a speaker, but our ears aren’t very good at subtle distinctions and intensity and frequency. Instead, what we do is, we use computers to analyze the radio signals and turn them into things we can visualize: in some cases, pictures; in other cases, charts on a graph, or tables of numbers, something that we as humans can grasp, even though it’s a kind of radiation–a radio radiation–that we don’t have the senses to detect. SUE ANN HEATHERLY: I think people naturally hear the word radio and associate that with listening to their radio on their kitchen table. And it’s a difficult leap to make to say that radio waves are more like light than sound. People seem to think that because they hear sound coming out of their radio that radio waves are sound, so it’s a natural misconception to have. DR. JAY LOCKMAN: Well, it is, but it’s also radio waves is what carries your TV signal. You’re TV signal is carried by radio waves. Radar is radio waves, also. And many kinds- And many things that we’re familiar with are making use of radio waves in ways that don’t relate to sound or to our ears. So, an airplane that lands, bounces radio waves off the runway, and detects its height above the runway by that way, and there is really never any sound involved. And as for what we’re doing, quite often I know people have recorded radio shows. And they have taken their radio signal that comes in over the air and put it through a radio or amplifier and then recorded it onto tape, or onto some digital format. And then you can, later on, display that format as a changing pattern of light, if you want. There are a number of MP3 players that will make patterns out of the music that it’s playing. And so, in a way, we are doing things like that; only, we’re trying to make very precise measurements. And we record the signals that come in, we store them, and we spend a lot of time pondering over what they mean. SUE ANN HEATHERLY: So, we don’t listen to radio waves coming to us from space, but we do study them. What are some of the areas of research that radio telescopes and radio astronomers are involved in? DR. JAY LOCKMAN: Radio astronomy has opened up research into areas that we didn’t even know existed fifty years ago. For example, there are pulsars: very compact objects that are the cores of a star that exploded. These give off very distinct signals in the radio, and we can see them all the way across the Milky Way. Another big area of research is into chemistry. We’ve learned actually there is an active chemistry in the gas clouds that float between the stars, and molecules as diverse as ethyl alcohol, acidic acid, vinegar, ethylene glycol. Complicated molecules like this give off very distinct radio waves, and so we can see these objects and their molecular clouds across the galaxy. The gas between the stars is another source of radio waves and not much light, so we can really study stars as they are forming. We can study planetary systems as they are forming, and even take this back in time. With radio waves we can study galaxies like the Milky Way as they were forming just a fraction of the age of the universe. SUE ANN HEATHERLY: There are some similarities between optical astronomy and radio astronomy. Not only do we study the same sorts of things, in many cases, but the way it’s done nowadays is a lot more similar than it used to be. DR. JAY LOCMAN: Oh, yes, certainly, for a hundred years or so the way one looked at the sky through the large optical telescopes was using photographic plates–actual chemical processes to record the light that comes in. And that’s no longer done. Now the optical astronomers use big digital cameras. And so, in many ways, we are very similar now. We have receivers, or, even in some cases, cameras on our radio antennas that can pick up the radio signals and analyze them. So there’s really a lot of similarity. And also, now, we can operate radio telescopes using the internet from across the world. So again, in the old days, the optical astronomers, in some cases, had to get on horses or mule teams to get to the top of the mountain to make their observations. And now they can hook up with large telescopes over the internet, and we can do the same thing with radio telescopes. DR. JAY LOCKMAN: Yeah, that’s a great question. The optical telescopes want to get above as much of the atmosphere as possible, up in a nice, dark place, on some remote mountain, because they want to be away from the light of civilization–lights and street lights. But they also want a nice, dark sky, and not much air and not much dust. With radio waves, our biggest source of pollution is really our own neighbors and ourselves. Things like automobile ignitions or sparkplugs–cell phones, of course–microwave ovens, anything wireless, anything that is a transmitter, puts out a signal that swamps the very faint signals coming from the universe. And so, just like optical telescopes, who want to be away from city lights, we need to be away from city radio noise. SUE ANN HEATERHLY: Here we are in Green Bank, West Virginia, which is one of the most sparsely populated counties, I am told, east of the Mississippi River. DR. JAY LOCKMAN: Yes. And we’re at the bottom of a valley because the mountains block some of the distant radio waves from interfering with us. SUE ANN HEATHERLY: So, if there is a radio station on the other side of the mountain, it can’t get through the mountain to our telescopes. DR. JAY LOCKMAN: It’s tough to get through the mountain. Right. And Green Bank was found after a very detailed search about fifty years ago, and Green Bank was a place that had a low population and not much evidence of manmade radio transmissions. We’ve still got a low population, but now things like wireless and various kinds of modern conveniences are intruding on us, but it’s still a great place to do radio astronomy. SUE ANN HEATHERLY: You mentioned that about fifty years ago they were looking for a good place to put our radio observatory. Other countries all around the world have done the same thing, and do you typically find radio telescopes in insolated places like here? DR. JAY LOCKMAN: We have one of the best sites in the world for a radio observatory. There are radio observatories in Europe, in Germany, in France, in England, Italy, Scandinavia, Russian, China, India. A lot of countries have active programs in radio astronomy. And in many places, they are really limited by the manmade interference as to what they can study. So, we’re in a particularly good situation here. There’s a new radio observatory being built in the desserts of Western Australia, truly one of the most remote places on the Earth right now. And they are trying to establish a radio quiet zone around themselves, based on the one we have here at Green Bank, in order to limit future transmitters. But that’s far away and in the southern hemisphere, and we’re still unique here in the North. SUE ANN HEATHERLY: Jay, thanks a lot for joining us today. Stay tuned everybody. 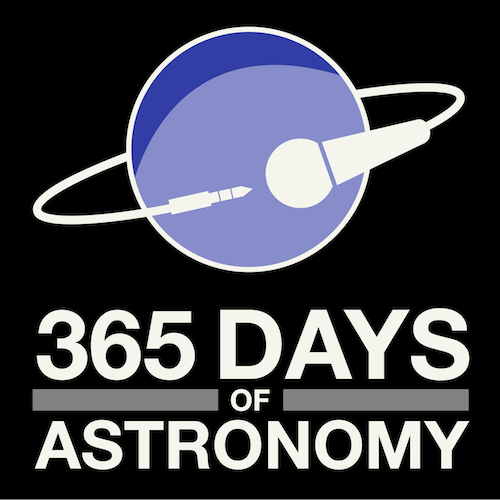 We will be coming to you about once a month over the next twelve months, during the International Year of Astronomy, and bring you more detail about some of these fascinating areas of research that radio astronomers engage in. We’ll see you next time. 4 Responses to January 16: What is Radio Astronomy? 2 mch info! shorten plse! but no that much recently.